The Best Adventure blogs from thousands of top Adventure blogs in our index using search and social metrics. Data will be refreshed once a week. Also check out Adventure Podcasts and Adventure Youtube Channels. 2.22 "We're going on an adventure . . . "
Adventure newsletter is a comprehensive summary of the day's most important blog posts and news articles from the best Adventure websites on the web, and delivered to your email inbox each morning. To subscribe, simply provide us with your email address. Worldwide About Blog G Adventures is an adventure-travel pioneer, offering the widest selection of affordable small-group tours, safaris and expeditions to more than 100 countries on all seven continents. Facebook fans 1,350,515. Twitter followers 130,526. About Blog Adventure Journal is an independent voice for authentic outdoor adventure. The online magazine for real outdoor adventure--stoke, inspiration, news, gear, people, photography, more. Facebook fans 88,183. Twitter followers 74,375. Toronto, Ontario About Blog Adventure travel blog by canadian couple Dave & Deb. This blog features travel advice, travel tips, inspirational stories and travel photography that will help you plan your next vacation. Facebook fans 198,670. Twitter followers 133,895. United States About Blog Independent online resource that provides top notch, easy to understand, actionable education to get you started with outdoor and adventure activities. Facebook fans 33,348. Twitter followers 18,902. San Francisco, CA About Blog Planning, discussing, and organizing future adventures, and sharing past ones. Base jumping, diving, urban exploration, ghost-hunting, caving, climbing, hiking, wild camping, bushcraft, backpacking, kayaking, anecdotes about dealings with wild animals, authorities, accidents...anything and everything! Share your adventure with us! Facebook fans 1,210,269. Twitter followers 577,064. San Diego, CA About Blog Adventure travel blog featuring advice, tips, and inspiration for world travelers seeking their next vacation destination. Ordinary Traveler follows the adventures of Scott and Christy, two photographers who spend a good portion of their lives in or near the ocean. We want to inspire everyone to travel the world, even if you work a full-time job. Facebook fans 11,381. Twitter followers 42,551. India About Blog Take the plunge and experience adventure like you’ve never done before! From shark diving tours and mountain biking, to wildlife safaris, snowboarding and lots more. Here’s bringing you the best adventure trips from around the world! Facebook fans 2,689,671. Twitter followers 78,662. Wanaka, New Zealand About Blog Hi I'm Liz and this is a space where culture, travel, and misadventure collide. Facebook fans 44,564. Twitter followers 16,765. Global About Blog Urban Adventures are the day tour with a difference! We have local operators in all 85 locations that we operate Urban Adventures, delivering local experiences to everyone that travels with us. Our core purpose is to enrich people’s lives by creating unique, interactive travel experiences. We provide fun, affordable and sustainable travel adventures that are beneficial to local communities. Facebook fans 13,038. Twitter followers 6,637. About Blog DW blogs offer informative insights from experts and journalists: The latest commentary on international news, business, politics, sports and the environment. Facebook fans 11,071. Twitter followers 648. About Blog Adventure Nation (the outdoors tribe) is a community of adventure and outdoor enthusiasts completely dedicated to meeting all the needs of people wanting to travel for adventure and nature. Find adventure trips, tours, outdoor activities and adventure holiday packages in India. Join our Tribes, learn from Gurus and find great adventures. Facebook fans 188,913. Twitter followers 349. Stratford-Upon-Avon, England About Blog A passion for the outdoors and a love of travel. A Bi-Monthly Adventure Travel Magazine Featuring Hiking, Trekking, Mountaineering, Biking, Cycling, Climbing, Kayaking & Snow Sports! Facebook fans 114,542. Twitter followers 7,031. England About Blog Alastair Humphreys is an adventurer, author and motivational speaker. He was a National Geographic Adventurer of the Year in 2012. I have been fortunate over the years to have enjoyed some exciting adventures. There are plenty more to come. Facebook fans 61,353. Twitter followers 46,530. Scotland About Blog Macs Adventure specialises in self guided walking and active holidays in the UK, Europe and Worldwide. We firmly believe that the very best way to experience landscape, history, food and culture is under your own steam. Our mission is to deliver Adventure Excellence. Facebook fans 9,312. Twitter followers 3,295. Washington, DC About Blog Inspired by New Zealand's outdoors and tested in the world's wild backyard, Macpac's outdoor clothing, backpacks and camping equipment is the first choice for outdoor enthusiasts. On their blog, they share outdoor gear reviews, guides and other outdoor information. Facebook fans 51,511. Twitter followers n/a. Boise, Idaho About Blog A Travel Blog of Family Outdoors Adventures and Backpacking, Hiking, Paddling, Skiing, and Climbing Stories, plus Gear Reviews, by Michael Lanza. Offering professional stories, photos, gear reviews, and expert trip-planning advice on America’s and the world’s best hiking, backpacking, paddling, skiing, family, and other outdoor adventures. Facebook fans 11,472. Twitter followers 5,895. Munich, Germany About Blog Adventures by Day, Luxury by Night!I'm Laurel, the founder of Monkeys and Mountains Adventure Travel, a tour company and travel blog to help you plan your active holidays. The ultimate guide to adventure travel & personally curated adventure holidays to ease your travel planning by award-winning travel blogger, Laurel Robbins. Facebook fans 10,803. Twitter followers 80,636. Golden, CO About Blog Outward Bound is a non-profit educational organization and expedition school that serves people of all ages and backgrounds through active learning experiences and expeditions that inspire character development, self-discovery and service both in and out of the classroom. Facebook fans 55,763. Twitter followers 7,597. Facebook fans 8,526. Twitter followers 21,827. 22. "We're going on an adventure . . . "
Manchester About Blog I started blogging as a mainly personal record of life with Ben, Chloe & Amy - a place to note down the things they have done to make us smile, their achievements and our adventures as my little people "take on the world". Blog by Colette. Facebook fans 3,904. Twitter followers 17,504. About Blog Misadventures is an outdoor and adventure magazine by and for adventurous women. It covers inspirational feats and figures, honest-to-goodness adventures, and discoveries of all. Facebook fans 9,058. Twitter followers 9,155. Nashville, TN About Blog News, commentary, and insights on adventures, and adventurers, from around the globe. Facebook fans 2,959. Twitter followers 9,107. Seattle, WA About Blog Wildland Adventures is a leading ecotourism company for small groups, safaris, family adventure vacations, small boat adventure cruises, honeymoon adventures, and personalized custom adventure travel since 1986. Share the joy of discovery on an authentic worldwide cultural and natural history exploration for active and inquisitive travelers who appreciate boutique accommodations & native guides. Facebook fans 7,665. Twitter followers 2,519. About Blog Travel Talk will take you on life changing adventures and exhilarating experiences without breaking the bank. Guided group tours and sailing holidays in Morocco, Turkey, Egypt, Greece, Croatia, Spain, Portugal, Russia & more…. Indulge in a real discovery while travelling in style and comfort with us. Facebook fans 88,080. Twitter followers 4,220. Australia About Blog Read through all of Smith Journal's adventure articles and be inspired by tales of those travelling around the world & places you need to visit! Facebook fans 42,824. Twitter followers 8,324. About Blog All of our trips, from short trips in Europe and the UK to long-haul adventures in fascinating destinations such as Peru, Tanzania, Nepal and China, are designed to test your limits, and they offer an unforgettable sense of achievement. Facebook fans 19,163. Twitter followers 5,904. California About Blog Trail To Peak covers hiking, backpacking, adventure travel, and gear review. See the outdoors come alive with breathtaking photos and trip reports. Facebook fans 1,168. Twitter followers 18,057. New Hampshire, USA About Blog Adventure travel blog with travel ideas from New England to world wide. Find your next trip and adventure near and far with us. Facebook fans 1,771. Twitter followers 12. Berlin & London, among others About Blog Indefinite Adventure aim is to give practical advice to other potential long term travellers, inspire you for your two-week holiday, or just appeal to your inner armchair traveller. We seek out great vegan food, digital nomad work places, cool street art and interesting things to do on our travels. Follow Sam and Zab on their indefinite adventure! Facebook fans 1,615. Twitter followers 3,653. Cebu, Philippines About Blog Everything you need to know about cheap adventure travel with kids around the Philippines. Tips and tricks when traveling with the little ones! Facebook fans 7,096. Twitter followers 2,331. Beijing About Blog Expat, traveler, and spicy food lover, I've spent the last few years living in China and traveling around Asia. In my spare time I enjoy salsa dancing, scuba diving and stuffing my face with street food. Facebook fans 3,297. Twitter followers 92,543. About Blog Adventure seekers | Nature lovers | Living & traveling by motto: Go through the adventures of life with the smile on your face. Facebook fans 968. Twitter followers 6,528. About Blog Extreme Nomads is an up and coming travel blog with a strong focus on adventure sports, outdoor activities and anything adrenaline worthy! We write about the best destinations for action sports, from kitesurfing, surfing, wakeboarding, paragliding to cycling, hiking or diving. Hawaii to Massachusetts! About Blog This blog serves as a personal journal to document all my outdoor activities. It helps me keep track of all the places I've been to, things I've seen and done, and people that I've met along the way. But most of all, this blog serves to document my 'journey of climbing' and to inspire other women to climb, no matter what age! Facebook fans n/a. Twitter followers 194. Bozeman, Montana About Blog Adventure Scientists is a 501(c)3 nonprofit organization based in Bozeman, MT that equips partners with data collected from the outdoors that are crucial to unlocking solutions to the world's environmental challenges. By leveraging the skills of the outdoor adventure community we are uniquely able to gather difficult-to-obtain data at any scale, in any environment. Facebook fans 40,126. Twitter followers 7,953. Dubai, United Arab Emirates About Blog We travel for sports events, adventure, adrenaline and luxury. We work hard in Dubai to play hard all around the world. Join our journey to learn how to do the same! Facebook fans 2,564. Twitter followers 3,398. Greece About Blog AGreekAdventure promotes outdoor & adventure activities, alternative tourism, agrotourism and ecotourism in Greece. It is well know that Greece has thousands of places and hidden activities treasures. This site brings all these forward, plus announces events and activities. Facebook fans 16,895. Twitter followers 2,633. Calgary, Canada About Blog This blog seeks to chronicle the joys and challenges of taking kids hiking, camping, backpacking, skiing, biking, paddling and all-out exploring in the Canadian Rockies. The Calgary Family Adventure Community does not function as a guiding service and the owner is not a complete source of trail information. Facebook fans 3,096. Twitter followers 3,592. Watertown, MA About Blog Let your Family travel with the best. Thomson Family Adventures, the experts in family travel. Facebook fans 2,508. Twitter followers 5,226. Arnhem, The Netherlands About Blog Follow our adventurous journey and read about the best multi day treks and outdoor stuff! Facebook fans 5,580. Twitter followers 4,901. Brunswick, Maine About Blog Apogee offers outdoor adventure travel to young adults. We provide students with safe, well-designed trips to spectacular outdoor locations. Teen hiking and biking travel adventure trips and summer camp programs with community service. Trips for youth on US East and West Coasts, Canada & Europe. Facebook fans 2,806. Twitter followers 162. Whistler, BC About Blog Best Travel & Adventure Blog For Things To Do In Whistler Located in the heart of bustling Whistler Village and just minutes from Whistler Blackcomb Ski Lifts, The Summit Lodge Hotel offers guests a unique Boutique Hotel experience. Join us as we hike, ski, snowboard, snowshoe, splitboard, & camp our way around Whistler, Canada. Facebook fans 7,656. Twitter followers 3,183. Wilmslow, England About Blog Packed with useful information, top tips and general musings about all things wildlife and adventure holiday related. Our team of adventure enthusiasts have visited some of the world's most intriguing locations and this blog gives us the chance to share our findings. Facebook fans 22,882. Twitter followers 2,756. About Blog The Bucket List Project Blog hopes to share once-in-a-lifetime experiences, people accomplishing them, & hopefully will inspire you to go out & do them! Facebook fans n/a. Twitter followers 1,910. About Blog We Are The Best Montenegro Adventure Team Who Guides You Through Amazing Nature of Montenegro, From Seaside to Mountains. We Organize Unique Tours, Ideal For Small Groups and Individuals. With us You Can Sail, Hike, Rappel Canyons, Climb, Go Rafting or Enjoy Yoga Retreat! Costa Rica About Blog Rios Tropicales is an eco-adventure company operating paddle sports and adventure travel thorughout Costa Rica. Let Costa Rica's award-winning ecotourism leader Rios Tropicales show you authentic, nature-based adventure vacations. Raft, hike, bike, tour, safari & more! Facebook fans 13,411. Twitter followers 416. Americus, GA United States About Blog The Fuller Center for Housing, founded by Millard and Linda Fuller, is a non-profit ecumenical Christian organization devoted to an unrelenting quest to provide adequate shelter for all people in need worldwide. Our mission is to build a better world by cycling to end poverty housing. Facebook fans 4,231. Twitter followers 433. Darwin, Australia About Blog Brad McCartney is an adventure Cyclist, Hiker and Nature Lover. His dream is to cycle and hike the most amazing places on the planet.He is a former Wilderness Guide, Police Officer, specialist in Youth Restorative Justice Programs, aspiring author and photographer. He hopes to inspire others to follow their dreams. Facebook fans 1,376. Twitter followers 644. San Antonio, TX About Blog Around the world adventure travel site writing about domestic travel, overseas adventure travel & cheap travel tips. Facebook fans 6,854. Twitter followers 26,652. London, England About Blog DomOnTheGo is an adventure travel blog featuring inspirational stories, tips, and photography from around the world. Follow Dom on his wild adventures. Facebook fans 897. Twitter followers 1,002. Facebook fans 5,680. Twitter followers 2,051. About Blog Voila Travels is a hub of travel tips and advice, itineraries and travel events. Get your mind blown away and get on board for your next trip. Facebook fans 23. Twitter followers 5. About Blog Adventure Loves Company exists to share, inspire and enable a life of adventure. We are a team powered adventure brand with a primary objective to share and enable a life of adventure through our blog. We've been lucky enough to have people expose us to an amazing outdoor lifestyle, so now we're committed to doing the same. Facebook fans 456. Twitter followers 11. About Blog I ski, run, climb, bike, and travel. Sometimes with an Action Figure Mascot. These are my stories. Blog by kristina ciari. About Blog Velvet Adventure Sailing offers sailing holidays in a comfortable friendly atmosphere. With a maximum of six guests at any one time we specialise in trips for small groups and individuals. You can book a berth or charter the whole boat. We offer the opportunity to visit some destinations not on the usual yachting calendar. Facebook fans 816. Twitter followers n/a. Isle of Wight, United Kingdom About Blog Of course the kids are coming, that's part of the adventure. Facebook fans 73. Twitter followers 545. About Blog Everything you need to inject some more adventure in your life! Travel & explore the world with me, The Vertical Adventurer, as I hike, climb and avoid epics. Facebook fans 402. Twitter followers n/a. About Blog Adventurous Experiences is an Adventure Sports Centre. Explore the coastline, viewing wildlife; unforgettable adventurous experiences through Sea Kayaking, Coasteering, Gorge Scrambling and family friendly adventures. Our mission is to Explore the Isle of Man. Experience your adventure. Live life to the full. Share the memories later. Facebook fans 4,695. Twitter followers n/a. About Blog Fiddlesticks is a friendly, professional OFSTED registered child minding service run by a mother-daughter team based in Marske-by-the-Sea, Cleveland. We focus on providing a high quality, small scale, outdoor focused child care setting. We offer an outdoor education through exploration and play allowing children to develop their natural wonder, creativity and imagination. Tacoma, WA About Blog We are an outdoor family with three kids currently 10, 8 and 2. We enjoy climbing, kayaking, caving and backpacking and encourage each of our kids to explore these adventures with us and have the time of their life. Facebook fans 2,222. Twitter followers 760. Tokyo, Japan About Blog A photography blog of Kain Harvey. This blog I provide detailed information about photography reviews, tips, tricks, and gears. I try to focus on my strong point and give it my all. I hope you will find the benefits of my skill. Facebook fans n/a. Twitter followers 218. About Blog This blog is about Hunting, fishing, and adventure by Skylar who grew up loving the outdoors. About Blog Small adventures in a big weird world. About Blog Trip and Trail is a place for all of us who love to travel, to trek, to backpack and in general for anyone who can’t stay motionless for long. You can call it a blog or a webzine, it doesn’t matter. What matters is the journey and the joy of sharing it with friends. Facebook fans 11,360. Twitter followers 33,390. Perth, Western Australia About Blog Travel your way! Australia's best adventure travel blog focused on the explorations of the award-winning photographers and writers,Alesha and Jarryd. Facebook fans 45,532. Twitter followers 91,615. Boston, MA About Blog DuVine Cycling Adventure Co. designs and leads luxury bike tours in the world's most amazing locations. Come explore the world with us by bike. Our ultimate goal is to consistently amaze, surprise, and delight our guests with unparalleled experiences, outrageously satisfying food and drink, and a myriad of thoughtful touches. Facebook fans 25,942. Twitter followers 5,476. Global About Blog Momentum Adventure is a luxury travel operator specialising in handpicked adventures in some of the most remote places in the world. We craft unique adventure travel experiences for those looking to 'do something different'. Facebook fans 48,055. Twitter followers 2,346. About Blog My adventures include rock climbing, ultra-running, and everything in between. I love being in the outdoors and sharing my adventures with you all. Thanks for tuning in! Middletown, CT, US, 06457 About Blog EMPOWER Leadership Adventure Center provides leadership training, team building, zip lining, and confidence building adventures. 30 acre adventure facility featuring CT's only true zip line canopy tour, climbing, rappelling, hiking, obstacle courses, adventure races, leadership, team building and more! Facebook fans 5,246. Twitter followers 1,010. Facebook fans 3,569. Twitter followers 1,976. UK About Blog We are passionate about challenges, travel and adventure. Our adventure events and challenges are planned and run by experienced, qualified staff who love working and leading in the outdoors.We help charities, businesses & individuals have amazing experiences and adventures throughout the world. Our aim is to offer exciting, rewarding and fun trips, challenges and courses at a reasonable price. Facebook fans 2,265. Twitter followers 1,323. Taipei City, Taiwan About Blog I'm Jamie. An American expat living in Taipei, Taiwan. ink adventure is where I share my journey - you'll find travel photos, expat experiences, and bits about life as a blogger/writer living in Taiwan. Facebook fans 262. Twitter followers 697. About Blog Sharing our adventures with the world one trip at a time. This site is dedicated to all outdoor enthusiasts. On our site you will find: Stories of our adventures Our favorite places A database of campgrounds we have stayed at Dispersed and backcountry campsite coordinates Tips and tricks Gear reviews. Hawaii About Blog Alison’s Adventures will inspire audiences to take risks, embrace change, and realize that every dream can come true. Alison Teal, a female version of “Indiana Jones,” journeys into ancient cultures with her camera and pink eco surfboard to share global secrets of survival, sustainability, health and happiness through her comedic and inspirational film and blog series: Alison’s Adventures. Facebook fans 127,542. Twitter followers 25,380. Pendine, Wales About Blog Morfa Bay Adventure offers a large selection of outdoor activities in Carmarthenshire, Wales, which are suitable for all ages and abilities. We believe that no matter how exciting the activity the most important thing is safety and the friendliness, professionalism and patience of the instructors our staff will not be beaten in this respect and we guarantee that everyone will have an awesome time. Facebook fans 3,001. Twitter followers 1,752. About Blog The Adventure Podcast is a weekly show about exploration, travel, gear, mountaineering, and all things related to the outdoors. Orlando, Florida About Blog Life Coach Tim Brownson offers professional life coaching services to people who feel stuck, stressed and overwhelmed or just want more out of life. Facebook fans 45. Twitter followers 5,922. About - Independent online resource that provides top notch, easy to understand, actionable education to get you started with outdoor and adventure activities. About - Hi we are Lina & David. We are Award winning photographers & adventure travel bloggers. America's Adventure Couple. About - Hi I'm Kate McCulley and I travel the world for a living. My mission to show you that yes, it is possible for women to travel on their own and independently while staying safe and having the time of their lives.This is the ultimate guide to solo female travel and inspirational adventures around the world. About - Life Coach Tim Brownson offers professional life coaching services to people who feel stuck, stressed and overwhelmed or just want more out of life. About - Hi I'm Dave. Founder of Travel Dave, A UK Solo Adventure & Travel Blog where I share with you my first adventure. Follow my blog and feel free to join and follow my adventure each month. About - Hi I'm Jess. Come and join me on my adventures in London and around the world, I also feature food, drink and product reviews. About - Hi I’m Sian, and this is The Girl Outdoors, a blog for anyone who loves adventures. It features travel, sport, photography, outdoor style and gear reviews, and it’s here for inspiration if you feel like you need some fresh air. About - Adventure travel blog by canadian couple Dave & Deb. This blog features travel advice, travel tips, inspirational stories and travel photography that will help you plan your next vacation. About - We are a Canadian family of 5 taking adventures in Alberta and beyond, sharing tips and trips along the way. About - This blog seeks to chronicle the joys and challenges of taking kids hiking, camping, backpacking, skiing, biking, paddling and all-out exploring in the Canadian Rockies. The Calgary Family Adventure Community does not function as a guiding service and the owner is not a complete source of trail information. About - Hi I'm Lisa. I’m an Australian photojournalist in a constant search of amazing landscapes to photograph. Specialising in underwater, landscapes and travel imagery I enjoy seeing the world in a different way and am excited to share the adventures of The Wandering Lens and the locations I find along the way. About - Hi I'm Neil. I help travel and outdoor enthusiasts find their perfect adventure, as well as the gear and knowledge they need to undertake it. About - Hi I'm Lindsay. On Frugal Frolicker I focus on affordable outdoor travel adventures, highlighting the best hikes, roadtrips, bike rides, and other outdoor adventures I’ve done on the cheap in beautiful places around the world. About - Hi I’m Alex. I voyage around the world, alternating between swashbuckling skull duggery and gallant gallivanting depending on the alignment of the stars. I'm a Backpacking travel photographer and writer going to all kinds of places you never even knew existed. About - Follow the blog to find more on adventure activities like Trekking, Jungle Trails, Rappelling, Scuba-Diving, River Rafting, Rock Climbing, Kayaking, Valley Crossing etc. are something which fascinates everyone. About - Nature walkers bring an array of priceless trekking options which can be explored by travelling through various challenging terrains, beautiful landscapes. It positions itself as a niche service provider within the hard-adventure tourism market. About - Adventure Nature is a community dedicated to all adventure & outdoor enthusiasts. 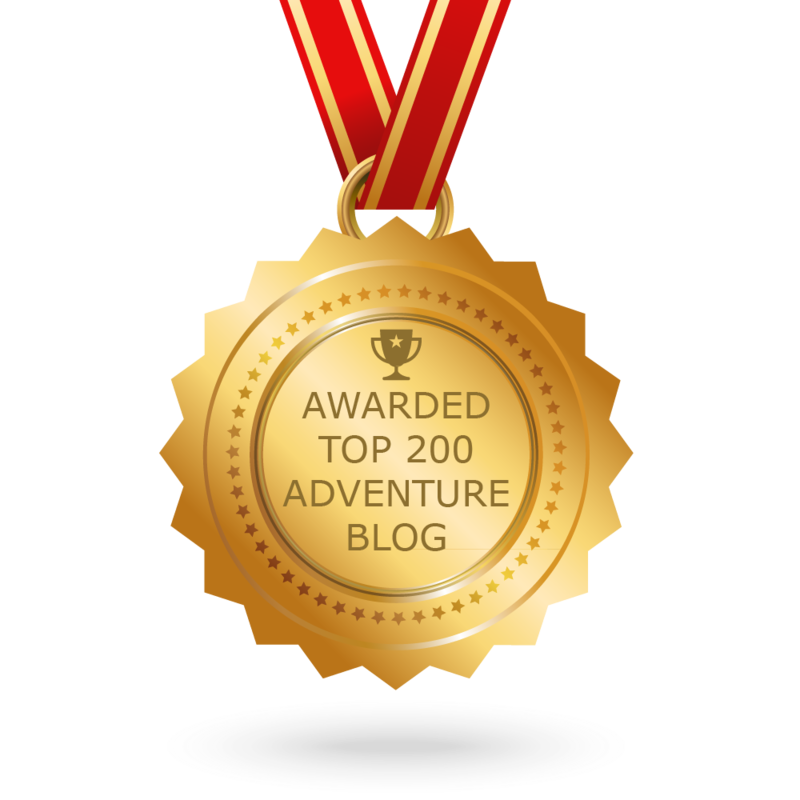 CONGRATULATIONS to every blogger that has made this Top Adventure blogs list! 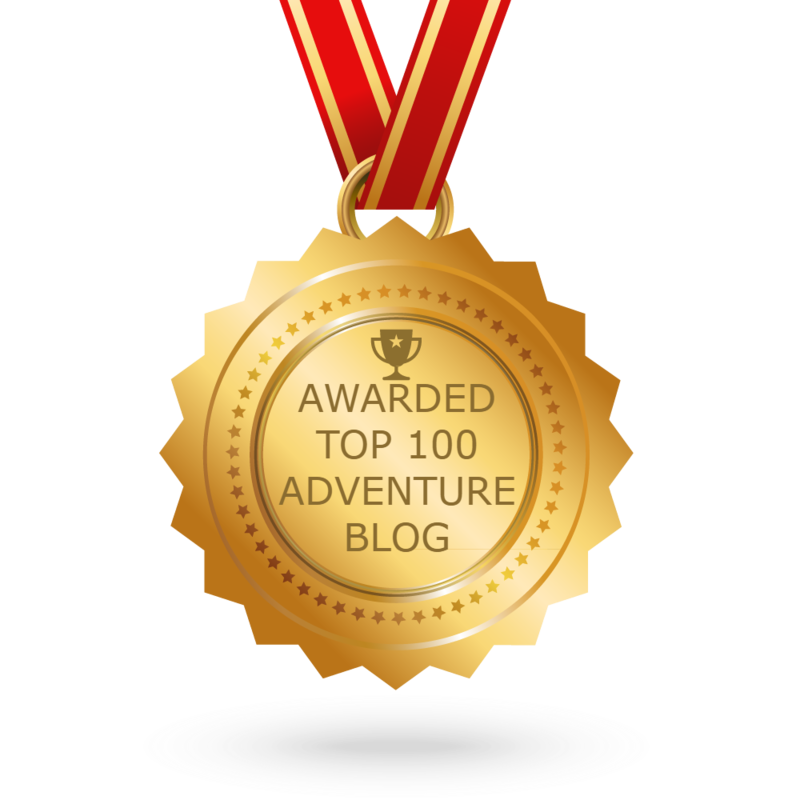 This is the most comprehensive list of best Adventure blogs on the internet and I’m honoured to have you as part of this! I personally give you a high-five and want to thank you for your contribution to this world.